A year or so after Adnan was convicted my mother, a devout woman often found mumbling prayers on a rosary or in prostration on a prayer mat, went for a pilgrimage to Mecca. When she returned she told us she prayed for Adnan there countless times and then had a clear dream. She dreamt that he emerged from an underground chamber, squinting in the light, after having been held captive there for a long time. She said it meant he would be exonerated and freed from incarceration. She also said he looked like he was in his mid to late 30’s. I remember my chest constricting when I heard that. Adnan must have been 19 at the time. My mother was saying he could be in prison for another two decades. I refused to believe it, I cried and got angry and said no way, it was not going to take that long. Yet here we are, 15 years later. Before that, in the few months after Adnan had first been arrested, he told me of a dream he had in jail while awaiting trial. He dreamt that he was on a mountain that rose high in front of him and he saw Hae climbing up it, with her back to him. He called out to her but she didn’t turn back. So he started following her up the mountain, trying to get her attention in vain. That’s how his dream ended, with him climbing higher and higher to try and reach her. Adnan thought his dream was a reflection of his pain at her death, of not knowing what happened to her, of trying to speak to her one last time to find out. In my heart, as he told me, I thought the dream sounded ominous. It seemed like he was also going to get lost to the world like Hae did, climbing up and away after her, leaving the world behind. I didn’t tell him that, instead I tried to comfort him. For people of faith, whatever faith, we try to find reason in the terrible things that happen in the world. War, poverty, disease, hunger, death. Most of the time you find no reason other than people can be terrible, and to get through it you turn to God, you pray for peace and justice, you wait patiently until eternity when all will be well. Prayers for Adnan were not just my mother’s business, they were my business too. I had the honor of visiting Jerusalem twice in the past two years and each time I stepped inside the many different holy places and mosques I prayed for Adnan. 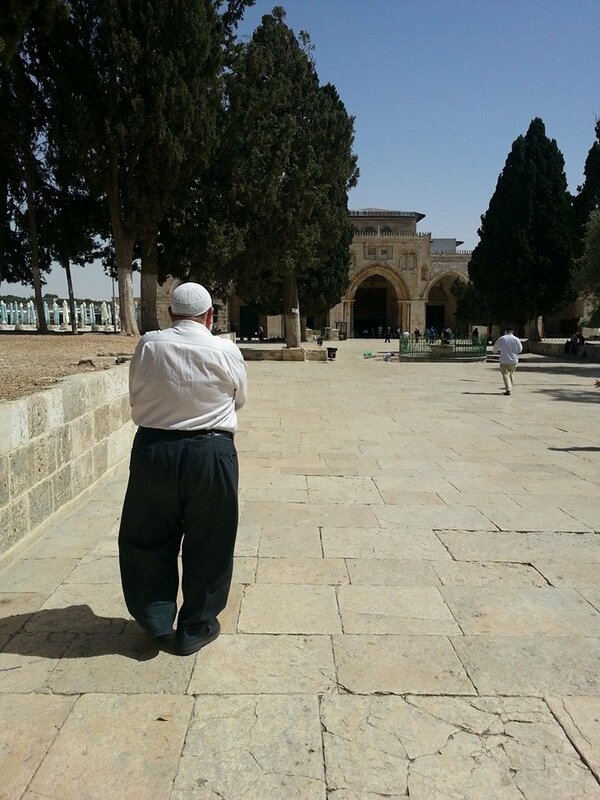 I prayed for him at the Al Aqsa Mosque, at the Dome of the Rock, at the mosque of Umar the Caliph, at the mosque of Salahuddin, at the Tomb of the Patriarchs. There wasn’t a place where I didn’t pray for Adnan with my face to the floor, entreating God to have mercy, to let Adnan come home. 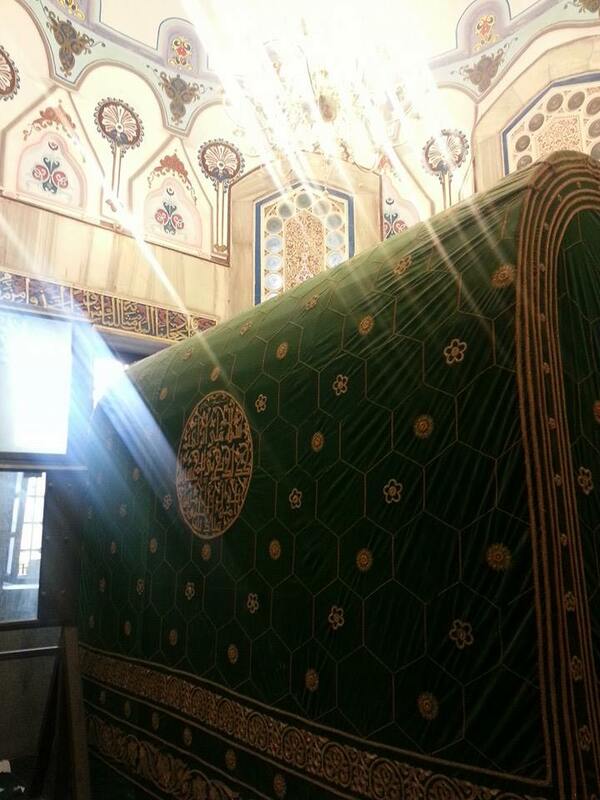 It is said that a traveler’s prayer is answered so I prayed for Adnan in my travels to and from these holy places. I asked others with me in these travels to pray for him. 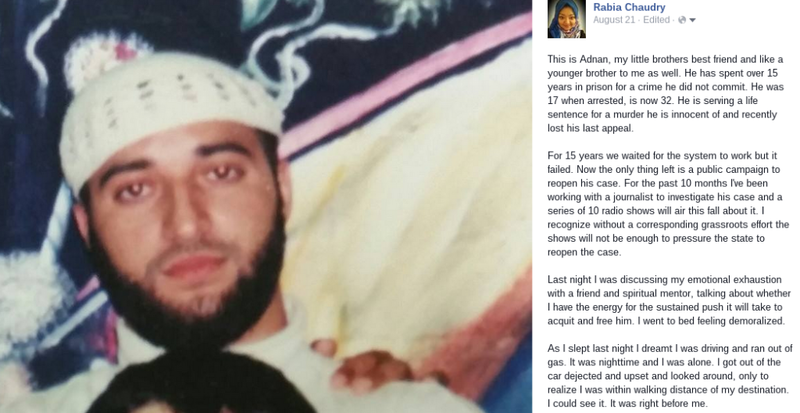 When I heard someone was going to Mecca, I would make a request to them to please pray for Adnan to be exonerated. I asked for prayers to be said for him at mosques, during the weekly Friday prayers. At this point hundreds of people, at least, who don’t know Adnan, have prayed for him. And they’ve prayed for him in Pakistan, in Mecca, in Medina, in Jerusalem. The tomb of the Prophet Abraham, in the divided Tomb of the Patriarchs/Ibrahimi mosque. I took this pic with my phone, hand extended through the screen that keeps people out of the sanctuary. I heard then that a Sufi sheikh, a very pious and internationally known man, was going to be visiting the area. 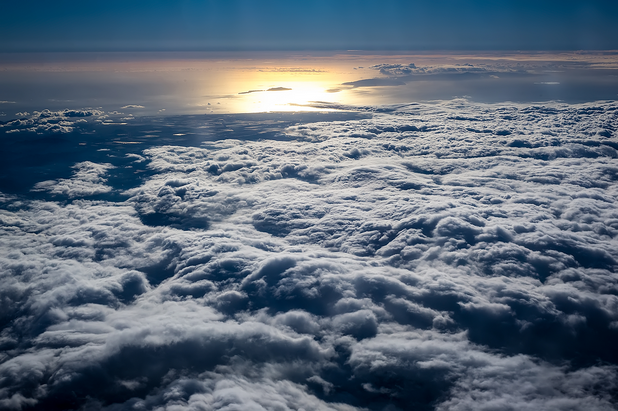 I had never particularly reached out to those who are known as the “awliya”, the friends of God – people who devote their lives to worship, prayer, and the service of others. But I knew someone closely connected to this spiritual teacher and so I asked for an audience. A much coveted appointment was made and I waited anxiously for a couple of weeks. I wanted to ask him to pray for Adnan and ask him if he could sense, on an intuitive and spiritual level, whether there was still hope. The dream was very clear, and I still remember it like I just had it. I was driving, it was nighttime, I was alone. I don’t know where I was going but all of the sudden the car ran out of gas. I realized my phone wasn’t charged, I couldn’t call for help, and all around the car I just saw darkness. I felt afraid but I got out to look around. About 100 yards ahead I could see a roundabout and beyond that a sign rising into the sky. It was my destination. I couldn’t believe it. I was despondent that I’d never get there, that I was literally lost in the dark, but now I was within sight and within walking distance. And so I started walking. Two days later when I met the shaykh I took Adnan’s picture. He was a tiny, gentle, congenial man. Quiet, smiling, sweet. He stared at Adnan’s picture for a long time and then put it down on the table. He nodded at me and said “he’s innocent, and he will come home”. *PBUH. When Muslims mention the name of any Prophet, whether Jesus or Muhammad, we wish peace upon them. So you’ll often see the abbreviations “PBUH” after a name, which stands for “peace be upon him”.